Aluminium construction mounts with a matte black finish. Overall height 46mm, width 40mm, thickness 16mm. 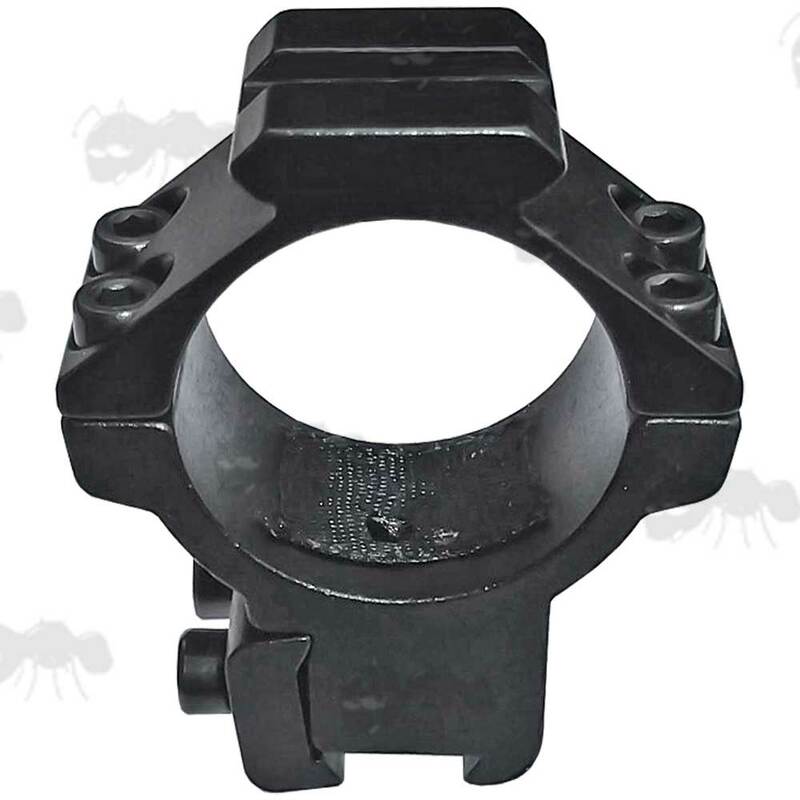 For scopes wit up to 48mm objective lens. Overall height 48mm, width 40mm, thickness 21mm. 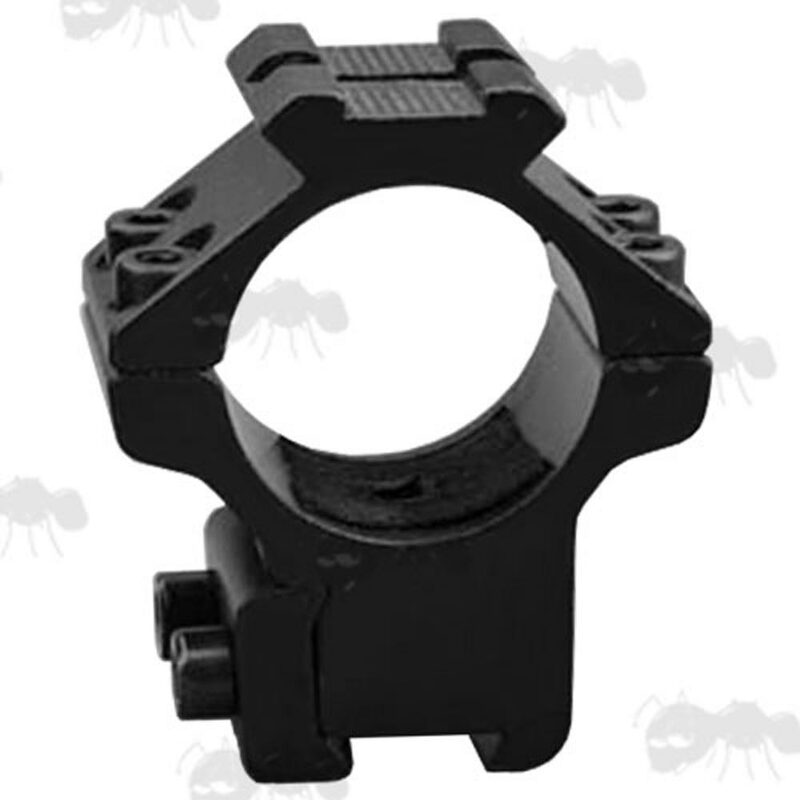 For scopes wit up to 52mm objective lens. Overall height 55mm, width 40mm, thickness 21mm. For scopes with up to 64mm objective lens. Overall height 54mm, width 47mm, thickness 21mm. 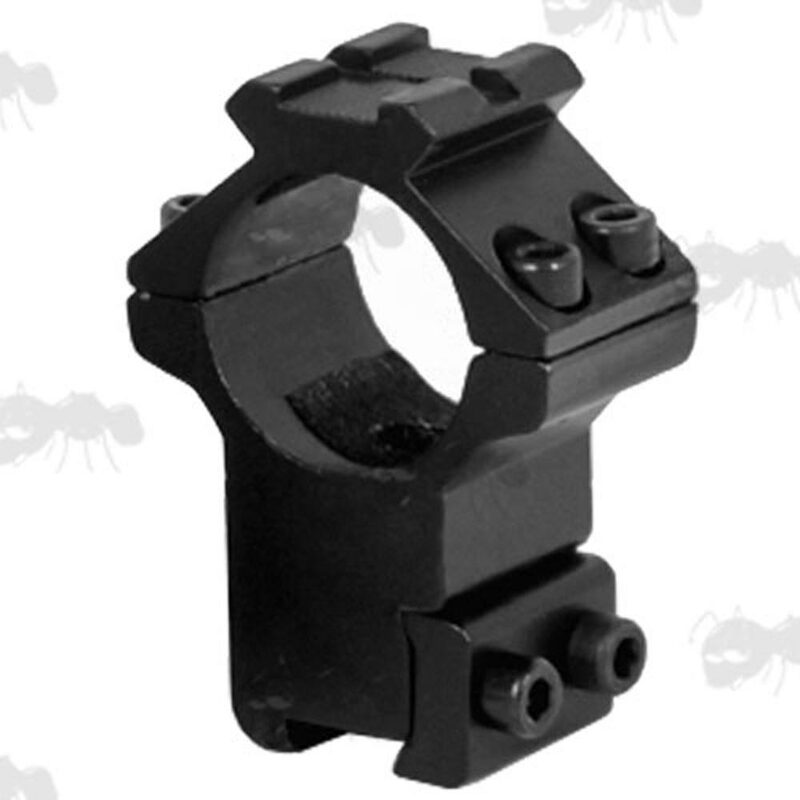 Scope rings for 9.5 - 11mm dovetail rails. With 20mm weaver/picatinny accessory rails on top to allow for adding torches or lasers etc. The 25mm high version has a removable recoil arrestor pin to prevent scope-creep. 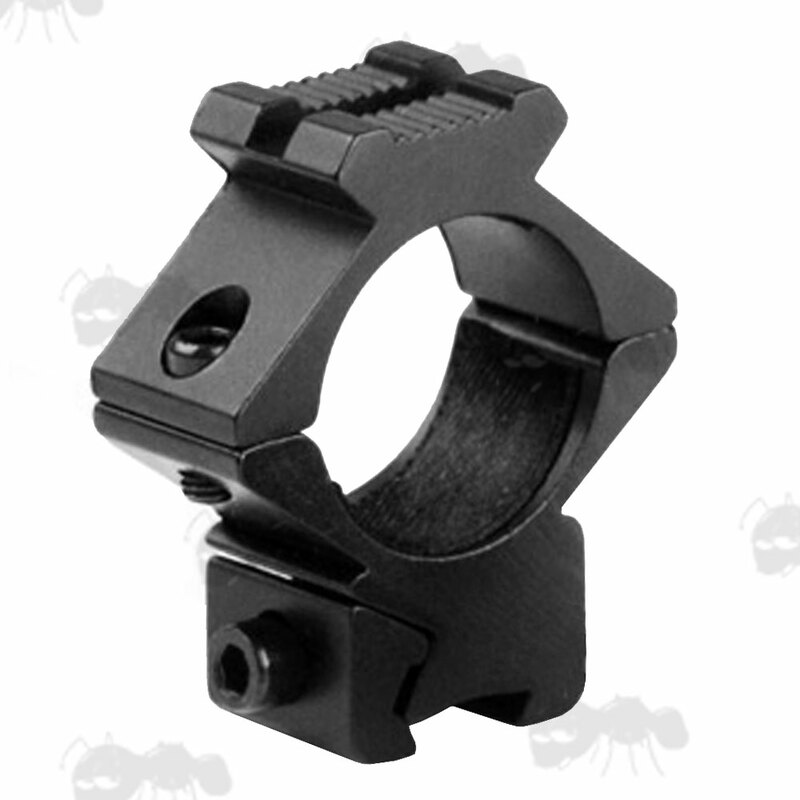 Also available ~ one piece scope rings with accessory rails. 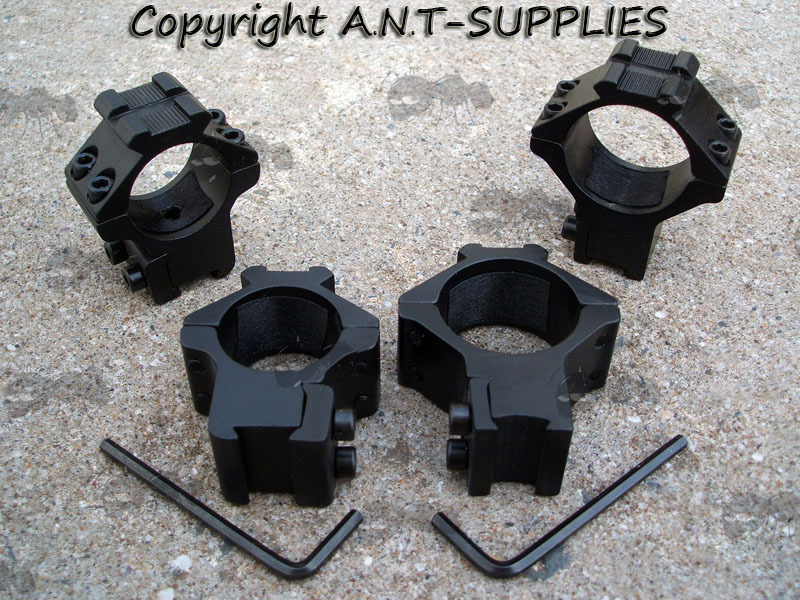 Similar version weaver / picatinny rail scope mounts are also available.